No credit checks. No endless applications. No haggling with 3rd party banks. We help people with no credit, bad credit, bankruptcies, divorces, and repossessions purchase vehicles every day. We have one of the largest Buy-Here Pay-Here inventories in Lexington. We offer affordable pre-owned vehicles from makes like Audi, Buick, BMW, Cadillac, Chevrolet, Chrysler, Dodge, Ford, GMC, Honda, Hummer, Hyundai, Infiniti, Jeep, Kia, Lexus, Lincoln, Mazda, Mercedes, Mercury, Mitsubishi, Nissan, Pontiac, Saturn, Scion, Subaru, Toyota and more! When shopping with us you will find a vehicle you’ll like. 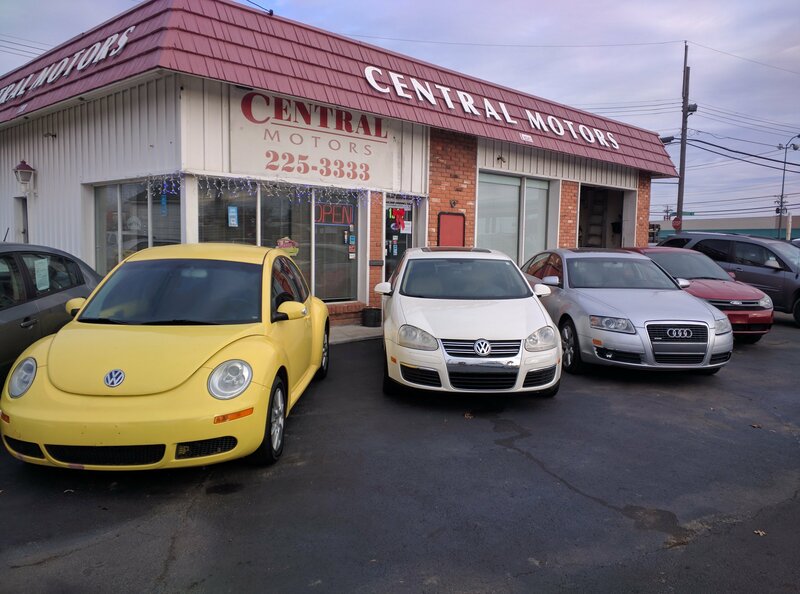 Central Motors, Inc. has helped thousands of people purchase a car, truck or SUV over the last 30 years. Our customers come back because we deal fairly and offer excellent service. Buy with confidence at Central Motors. We maintain an A rating with the BBB bureau.